If you want to bet your money on a film-maker when it comes to churning out hard-hitting pieces of cinema, it’s Vetri Maaran. This is a crime-drama of epic proportions – one which talks about gang-wars and how some men and women unintentionally get embroiled in it. The story is set in a hood in North Chennai and follows a non-linear narrative. Things start off in 1987 with a murder of a certain someone, and go all the way till 2003. While it looks like we’re in for a generic gangster-revenge-saga at first, there’s plenty more in store. Each major character introduced is well-rounded and packed with sufficient motive to back their actions in the screenplay, not just Dhanush. In fact, a good part of the film is devoid of any masala moments, instead we get several excellent cinematic moments – an extended murder scene in a hotel (the build-up is captivating! ), the clever insertion of a few real-life political incidents and how they impact the film, and how the women don’t shy away from being themselves – flirty, greedy, selfish, and bold – just as much as their menfolk. Sometimes, the back-and-forth jump in the narrative can turn out to be a little confounding, but that’s where the writer-director demands your interest. He wants you to look at each character in a detailed space, each a case-study of its own. The layering attributed to each character makes you want to know more about them. I found the second half to tower over the first, simply because of the ‘Rajan’ flashback – it is the most fascinating stretch in the film and it only helps that Ameer, the actor portraying Rajan, is spectacular. Dhanush is completely in his zone playing Anbu and his transition from the innocent carrom player to the bushy-bearded gangster (having served a decent amount of jail-time) is believable, and his flair in pulling off the massy action set-pieces, noteworthy. Aishwarya Rajesh who plays Padma (Anbu’s love interest) is a treat while Andrea (as Chandra) definitely intrigues. Even if the multitude of characters in the screenplay appears overwhelming to keep up with initially, the storyline comes full circle at the end, and it looks like there’s going to be plenty more blood-shed in the supposed sequel. Velraj, the DOP, gives us some interesting frames and sequences – like the set-piece in the dark, (once again) the murder scene at the hotel (the use of space is just brilliant), and the almost ‘Assassin’s Creed Synchronization’-like shots of the North Chennai environs from the top. Santhosh Narayanan adds to the uncompromising nature of the film with his song compositions and more significantly, the background score (the ‘mass’ portions are terrific, just as in ‘Kaala’ earlier this year!). 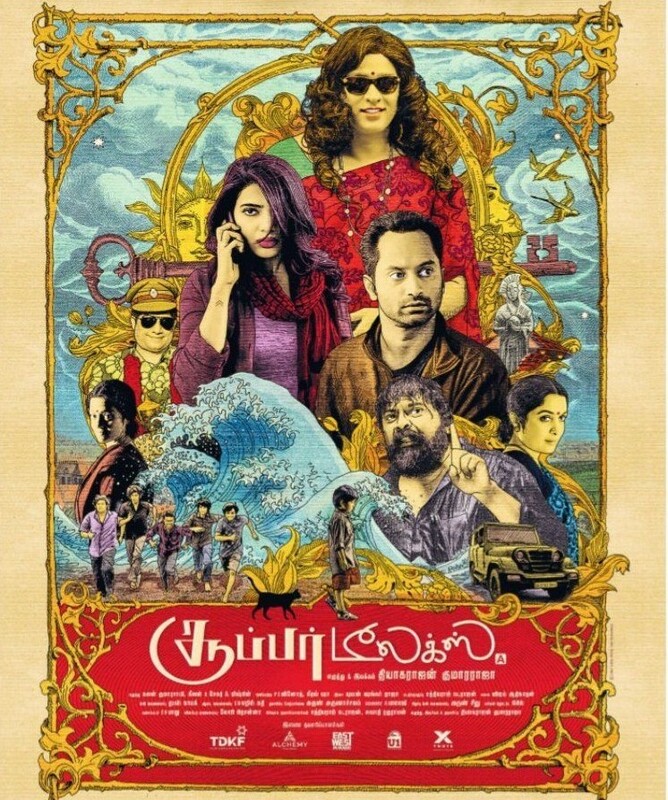 This has been a great year for Tamil cinema – films such as 96, Ratsasan, Kolamavu Kokila, Nadigayar Thilagam, and Pariyerum Perumal simply define the changing tastes of the movie-going audience – and here’s one more to top it off!